→What Are The Best Low Carb Fruits Should You Eat? In general, fruit is very nutritious. It’s full of vitamins, minerals, fiber, and antioxidant nutrients that reduce inflammation and protect you against major diseases. 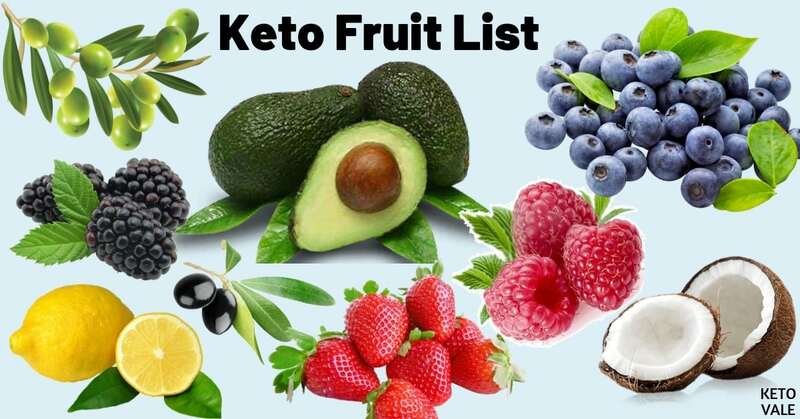 Most fruits are not recommended on the ketogenic diet due to their high carbohydrate count, but there are a few exceptions. It’s important to note that the sugar in fruit is quite different from the sugar you’d find in a candy bar. Research shows that most natural fruit sugars don’t spike your blood sugar the same way refined sugar does (1). In fact, one study found that eating berries reduced the glycemic load of white bread when the two were consumed together. This supports the theory that fruit has protective benefits on the body (2, 3). In the above-mentioned study, the protective benefits of fruit appear to be due to its high phytochemical, flavonoid and fiber profile. You can get the same protective benefits of plants by eating low-carb vegetables such as green, leafy vegetables and cruciferous vegetables without racking up the carbs. Even though the natural sugars in fruit don’t appear to spike insulin levels as much as refined sugar does, most fruit is still considered a high-carbohydrate food. Because of this, it should be avoided on the ketogenic diet. The best way to manage your fruit intake is to enjoy a handful of berries each day. Gram for gram, berries give you the best bang for your buck. They are lowest in carbs and highest in nutrients. You’ll get the protective benefits of vitamins, fiber, and antioxidants without going over your carb limit for the day. The trick is to limit your serving size as much as you can. 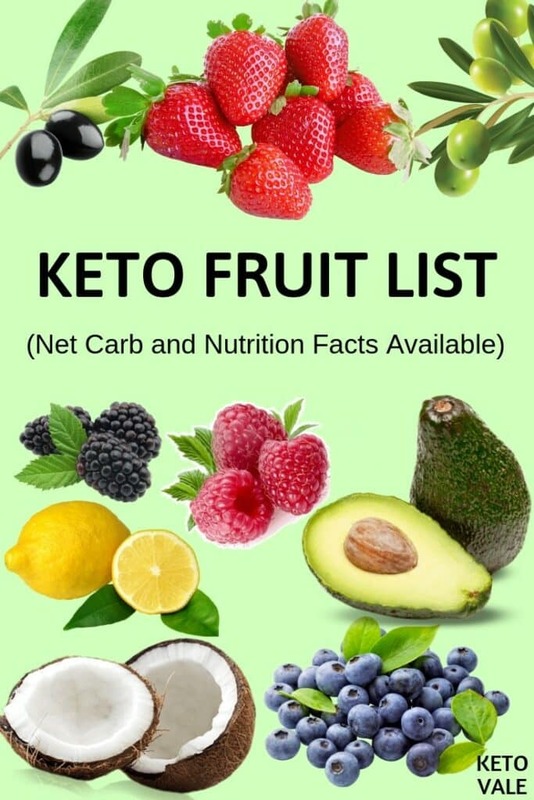 Below you will find a list of low-carb fruits you can consider on the ketogenic diet in moderation. 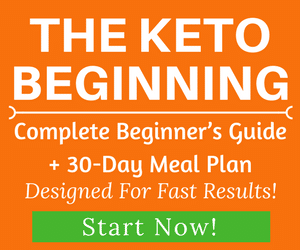 For a complete list of what to eat on the keto diet, check here! The nutrition facts for the fruits below can be found from Self NutritionData and USDA Food Composition Databases. These fruits can be eaten in moderation. Make sure you always track your macros so you don’t overeat it. When it comes to fruits, it’s best to eat fresh fruits. Frozen fruits are okay but you must avoid dried fruits, canned fruits and fruit juice because they have a lot more carbs/sugar (or net carbs) compared to fresh whole fruits. 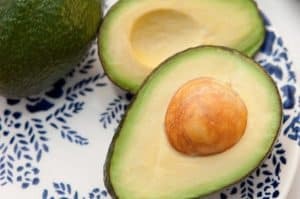 There is some confusion when it comes to the classification of avocados, but research shows they are a fruit that could help support cardiovascular health (4). It is really low in carbohydrates and extremely high in healthy fats. Avocado comes in different shapes and colors. The most popular type is the Hass avocado. Avocados contain a lot of nutrients, including vitamin K, vitamin C, vitamin B, vitamin E, potassium, magnesium, folate, and iron. Avocados contain more potassium compared to bananas. A 100g serving provides even 14% of the recommended daily value. A serving size of 100g of avocado contains 160 calories, 14.7 grams of fat, 8.5 grams of carbs (1.8 grams net carbs), 6.7 grams of fiber, and 2 grams of protein. Avocado is considered to be a super ketogenic food and should be included in your keto meal plan. Olives are one of those foods that are confusing to categorize, but research shows they are fruit with numerous health benefits. Olives contain oleic acid or omega 9 fatty acid, which is a type of monounsaturated fat that contains anti-inflammatory properties to help fight chronic illnesses and keep you healthy. Monounsaturated fats take part in the formation of cell membranes (5). Olives also contain plenty of vitamins and minerals – iron, magnesium, calcium, copper, vitamin E, vitamin K, and vitamin B. Not to mention, they are an excellent source of fiber and only contain a half of a gram of net carbohydrates per every 100-gram serving. A 100-gram serving of olives contains 145 calories, 15.3 grams of fat, 3.8 grams of carbs (0.5 grams net carbs), 3.3 grams of fiber, no sugar, and 1 gram of protein. Starfruit is an exotic fruit with a sweet and sour taste, rich in nutrients and minerals. Star Fruit is low in calories, and high in fiber, vitamin C, vitamin B, vitamin A, zinc, magnesium, iron, sodium and potassium. Star Fruits prevent cancer, thanks to the high levels of antioxidants components and fibers (6). Also, according to studies, star-fruits can reduce inflammation, lower cholesterol levels and prevent fatty liver disease (7). A medium-sized star fruit provides 50% of the recommended daily intake of vitamin C, which means that it can boost the immune system. The nutritive values per 100 grams of star fruits are 31 calories, 6.8 grams of carbs (4 grams of net carbs), 2.8 grams of fiber, 1 gram of protein, and 0.4 grams of fat. Some people choose to limit their fruit consumption to berries only, even though starfruit is almost 3 times less net carb than blueberries. In the end, we believe it’s a personal choice. Red in color with a sweet taste and juicy texture – this is what makes the strawberries one of the most eaten fruit worldwide. They can be consumed fresh and raw in desserts and jams, like food flavorings and jellies. Strawberries are rich in antioxidants that are beneficial to heart health and blood sugar levels. The most abundant vitamins and minerals are vitamin C, manganese, folate and potassium. 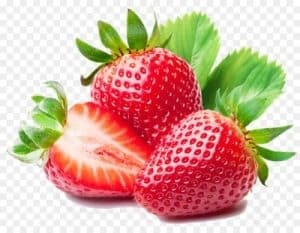 Strawberries are also a good source of pelargonidin, ellagic acid, ellagitannins, and procyanidin – antioxidant compounds that have many health benefits. A 100-gram of strawberries contains 32 calories, 0.7 grams of protein, 7.7 grams of carbohydrates (5.7 grams net carbs), 2 grams of fiber and 0.3 grams of total fat. Limes can be found in different colors – from green to yellow. It has sweet and at the same time tart taste. Limes are high in vitamin C, vitamin A, vitamin E and vitamin K.
One cup of lime juice provides 35% of the recommended daily intake of vitamin C. Also, limes contain macrominerals. Macrominerals are essential to our body because they support fluid balance and provide better enzyme action (8). The nutritional values per 100 grams of lime are 30 calories, 10.5 grams carbs (7.7 grams net carbs), 2.8 grams of fiber, 0 .7 grams of protein, and 0.1 grams fat. Lemons are one of the most popular fruits in the world. They are made-hybridized of citron and lime. 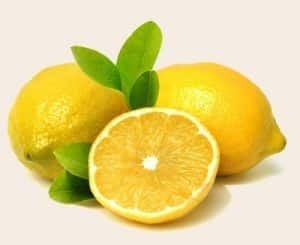 They have a sour taste and can be eaten fresh, added in foods or simply use to make lemon water. Almost all the carbs found in the lemons are consisting of soluble fibers that can lower the blood sugar levels. Lemons are a great source of vitamin C, potassium and vitamin B6. Other compounds found in lemons that offer health benefits are the citric acid, diosmin, hesperidin, and D-limonene. Lemons help reduce the risk of heart disease and cancer (9, 10). A 100-gram sized serving of lemon contains 29 calories, 1.1 grams of protein, 9.3 grams of carbs (6.5 grams net carbs), 2.8 grams of fiber, and 0.3 grams of fat. Blackberries are rich in vitamin C. Only one cup of blackberries has 30 mg of vitamin C, which is half of the daily recommended value. Vitamin C is crucial to collagen formation. Moreover, blackberries are high in fiber. According to a recent study, not getting enough fiber intake increases the risk of heart disease (11). Also, another reason why blackberries are great is the high level of vitamin K. Blackberries are a great source of magnesium, calcium, sodium, and iron. Vitamins that are provided by blackberries are vitamin E, vitamin B1, B2, B3, B6, vitamin A, and vitamin E.
A serving size of 100 grams of blackberries offers 43 calories, 0.5 g fat, 10.2 g of carbohydrates (4.9 grams net carbs), 5.3 grams of fiber, and 1.4 grams protein. Raspberries have a sweet and juicy taste to go with their antioxidant power. Raspberries are the flavonoid-rich foods that lower the risk of getting cardiovascular disease. Also, their antioxidant potential helps against free radicals and decreases the inflammation of the body. A serving size of 100 grams of raspberries contains 52 calories, 11.9 grams of carbohydrates (5.4 grams of net carbs), 6.5 grams of fiber, 1.2 grams of protein, and 0.7 grams of fat. When it comes to foods rich in antioxidants, cranberries are the primary choice. Cranberries are first harvested in North America. Rich in various nutrients, cranberries are a great option if you want to reduce the risk of getting a urinary infection or to boost your immune system. Raw cranberries have a tart taste, which is why you’ll find that many cranberry juices have sugars added to them to balance out the flavor. Avoid these juices when you can, and enjoy your cranberries raw without sugar added instead. Keep in mind that although cranberries are high in many beneficial antioxidants, they also tend to be higher in carbs than other fruits. For this reason, you may want to enjoy cranberries in extreme moderation or add them to your do-not-eat list if you have already eaten your share of carbs for the day. Cranberries are really high in vitamin C, vitamin A, and vitamin K. According to the Center for Oral Biology and Eastman Department of Dentistry, cranberries help prevent gum disease. Cranberries contain minerals, including calcium, magnesium, sodium, zinc, iron, and phosphorus. A serving size of 100 grams has 46 calories, 0 g fat, 12.2 g carbs (7.6 grams net carbs), 4.6 grams of fiber, and 1g of protein. In terms of classification, coconut can be considered a fruit, a nut, and a seed. No matter how you break it down, coconut is the perfect ketogenic food. In the past, coconuts were used as a building material for bridges and canoes. But later the extremely healthy benefits of coconuts were discovered and now the culinary uses of coconut are expanding continuously. It can be used in cooking in different forms, such as coconut meat, coconut oil, coconut water or coconut milk. Coconut meat should be part of everyone’s diet. It contains a high percentage of dietary fiber that helps with regulating digestion. Coconut is made from medium chain fatty acids that play a role in boosting one’s metabolism. 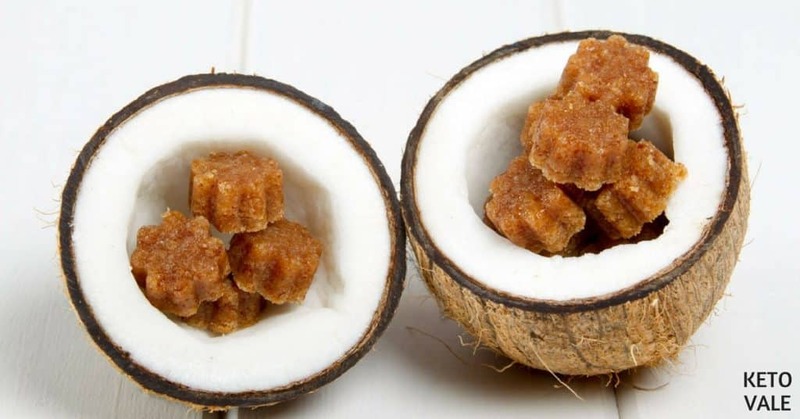 Also, the fibers and good fats that are found in coconut are good for lowering blood sugar levels (14). A serving size of 100 g contains 354 calories, 33.5 grams of fat, 15.2 grams of carbs (6.2 grams of net carbs), 9 grams of fiber, and 3.33 g of protein. Coconut meat can be dried and make shredded coconut, coconut flakes and coconut flour which are used in many keto recipes. Same as the other fruits that belong to the berry family, blueberries are sweet and rich in nutrients. Blueberries are rich in fiber, vitamin C, vitamin K, and manganese. One cup of blueberries offers 36% of the recommended daily intake of vitamin K.
Among other fruits and vegetables, blueberries are among the highest in antioxidant levels. The main antioxidant compounds found are the flavonoids. These antioxidants reduce the levels of oxidized LDL (known as the “bad” cholesterol) (15). 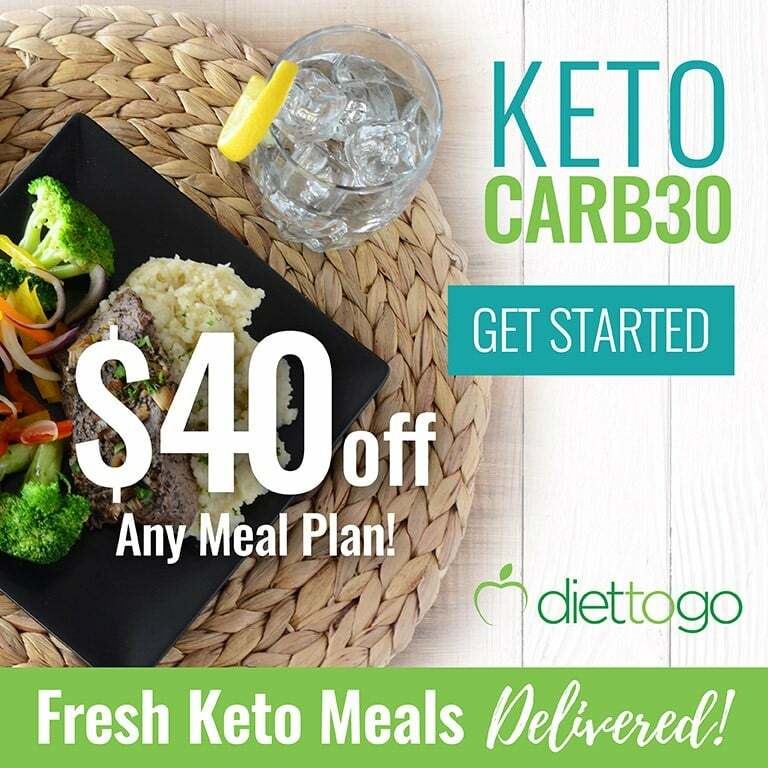 A serving size of 100 grams has 57 calories, 0.7 grams of protein, 14.5 grams of carbs, (12.1 grams of net carbs), 2.4 grams of net carbs, and 0.3 grams of fat. These fruits have higher amount of carbohydrates and should be avoided on a ketogenic diet. We’re not saying they are bad. Actually, they have many health benefits, however, overconsumption of these fruits can kick you out of ketosis if you exceed your daily carb limit. This type of tropical fruit is small in size, but it contains a lot of antioxidants and vitamins. It is rich in vitamin C, beta-carotene and polyphenols. The high amount of antioxidants has a powerful anti-inflammatory effect. The passion fruit can be eaten raw or added to drinks, desserts, and yogurt. It is rich in vitamin C so that it provides a boost to the immune system and is high in fiber to aid in digestion. A 100-gram serving of passion fruit provides you with 42% of your recommended daily intake of fiber. However, the majority of the calories of passion fruit come from sugars, which means that you’ll need to eat it in moderation or avoid it entirely on the ketogenic diet. A serving size of 100 grams contains 97 calories, 2.2 grams of protein, 23.4 grams of carbs (13 grams net carbs), 10.4 grams of fiber, and 0.7 grams of fat. This fruit goes by many names such as Barbados cherry. Cherries ferment very quickly and tend to fall apart when being frozen. Acerola is usually used for the decorations of the home tables, but eating them has numerous benefits. Antioxidants in acerola are known to lower blood sugar rates. Vitamins B, C, and A are immune boosters that play a great role in producing white blood cells. It is used for making jams, desserts, salads, and smoothies (16). A serving size of 100 grams has 32 calories, 0.4 grams of protein, 7.7 grams of carbs (6.6 grams of net carbs), 1.1 grams of fiber, and 0.3 grams of fat. They are mostly known by the name “melon”. Cantaloupes are pretty large and usually weigh 0. 5 to 5 kg. There are two types: European and North American. China, Turkey, and Iraq are considered the most producing countries of cantaloupe. Cantaloupe is made of mostly water, and carbohydrates, which is a “no-no” in the keto diet. They are a rich source of vitamin C and vitamin A, beta-carotene, lutein and zeaxanthin. The surface can often be contaminated with Salmonella; therefore, it has to be precisely washed before eaten or cooked. Allergic reactions to cantaloupe are rare. A serving size of 100 grams contains 34 calories, 0.8 grams of protein, 8.8 grams of carbs (7.9 grams of net carbs), 0.9 grams of fiber, and 0.2 grams of fat. Honeydew, also knew as honeymoon, has an oval shape and weighs from 1.8 – 3.36 kg. Honeydew is a sweet and fresh fruit, especially in the hot summer days. It can be used raw or diced in salads. It hydrates the body, keeps the skin healthy and boosts the immune system. Honeydews are rich with calcium, vitamin C, vitamin A, enzymes and antioxidants. However, like most melons, honeydew is high in sugar and carbs and should be avoided on the keto diet. A serving size of 100 grams has 36 calories, 0.5 grams of protein, 9.1 grams of carbs (8.3 grams of net carbs), 0.8 grams of fiber, and 0.1 grams of fat. There is nothing more refreshing than a slice of juicing watermelon on a hot summer day. But if you’re on the ketogenic diet, then you’ll need to find another way to cool down. This fruit has been cultivated for thousands of years, starting back in the Ancient Egyptian. It is related to pumpkins, cucumbers, and melons. Watermelons are made of mostly water (92%), vitamins A, C, B6, lots of lycopene, citrulline, antioxidants, and amino acids. This delicious summer treat has a lot of benefits, but still, they are not recommended for keto diets. One cup of diced watermelon contains 1 gram of fiber to help digestion. It is usually used in salads or as juice, but you can also eat it raw. Watermelons can bring various health benefits, including lower blood pressure and reduction of the muscle soreness. A serving size of 100 grams has 30 calories, 0.6 grams of protein, 7.5 grams of carbs (7.1 grams of net carbs), 0.4 grams of fiber, and 0.2 grams of fat. Having a soft texture and sweet flavor, kiwis can vary in size. China produces nearly 50% of the world kiwi production. There are three types: fuzzy kiwifruit, kiwi berries, and golden kiwi fruit. They are picked by hand. Kiwis may be eaten raw, cooked and juiced. They are rich with vitamin C, vitamin K, and vitamin E. Kiwis are often an allergen to children. They provide many health benefits such as regulating blood pressure, reduced risk of diabetes and cancer (17). A serving size of 100 grams has 61 calories, 1.1 grams of protein, 14.7 grams of carbs (11.7 grams of net carbs), 3 grams of fiber, and 0.5 grams of fat. Papayas are small, usually, single stem tree with large leaves and flowers opened at nights. The fruit is large and soft cultivated in tropical and subtropical regions. Papayas are also known as papaws or pawpaws. They can be used in salads, juices or jams. Papayas are considered to be good at asthma, cancer, and diabetes prevention (18). Papayas are rich with vitamin C, B6, B1, beta carotene and antioxidants. Inside the inner cavity of the fruit, there are black oval-shaped seeds, which are edible. The fruit also contains the enzyme “papain” that helps in digestion of proteins. A serving size of 100 grams provides 39 calories, 0.6 grams of protein, 9.8 grams of carbs (8 grams of net carbs), 1.8 grams of fiber, and 0.1 grams of fat. Grapefruit is a hybrid between a sweet orange and pomelo. It grows on the tree, which is often similar to those of grapes. This fruit can have many different colors such as white, red and pink. Also, it can be highly acidic or sweet. Grapefruits are rich in vitamin C, antioxidants and lycopene. Grapefruits are great for lowering blood pressure and reducing the risk of diabetes, obesity or heart disease (19). A serving size of 100 grams has 42 calories, 0.8 grams of protein, 10.7 grams of carbs (911 grams of carbs), 1.6 grams of fiber, and 0.1 grams of fat. Apricot is a fruit that grows on small trees, similar to a small peach. It can be eaten fresh, dry or cooked. Turkey is the world’s biggest producer of dried apricots. Apricots are rich in vitamins such as vitamin A, vitamin B6, vitamin C, vitamin E, beta-carotene, and enzymes. This fruit is a national fruit in Armenia. It is also known for reducing lung diseases, skin problems, and cancer (20). Fresh or dried apricots are full of dietary fibers, but they also contain a high amount of sugar and carbs. 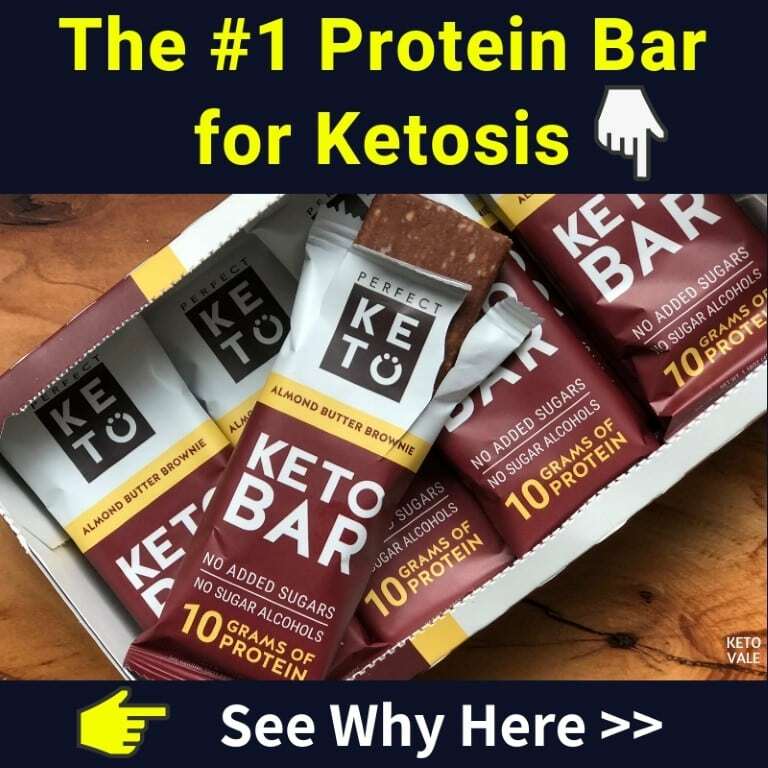 Therefore, they are not included in the high-level keto diet. Apricots can be applied in salads, jams, marmalade, and syrup. They are smooth and golden orange, but not so juicy. A serving size of 100 grams has 48 calories, 1.4 grams of protein, 11.2 grams of carbs (9.2 grams of net carbs), 2 grams of fiber, and 0.4 grams of fat. Peaches are considered members of the stone fruit because they have one large middle seed. The trees are relatively small. Their bioactive and anti-inflammatory properties are known to reduce cholesterol. Peaches are great for improving the eye condition, heart health, immune system and reducing cancer (21). They can be used in salads, jams, and marmalade. Peaches can be found fresh from May to October. Because of the high amount of fibers, peaches are not recommended in the keto diet. A serving size of 100 grams has 39 calories, 0.9 grams of protein, 9.9 grams of carbs (8.4 grams of net carbs), 1.5 grams of fiber, and 0.3 grams of fat. The cherry fruit can be sweet or sour. The name is the same for the fruit and the tree. In order to harvest it, the fruit people tend to hand picking so that damages are minimized. Cherries are planted in the autumn and harvested in the spring. They are rich in potassium and they are considered as a great pressure regulator. Cherries are full of vitamins such as vitamin C, vitamin K, and vitamin B, beta-carotene, anthocyanins, and antioxidants. Despite their amazing health benefits, cherries have quite amount of carbohydrates and therefore are not considered as keto food. A serving size of 100 grams contains 63 calories, 1.1 grams of protein, 16 grams of carbs (13.9 grams of net carbs), 2.1 grams of fiber, and 0.2 grams of fat. Orange is a hybrid between pomelo and mandarin. It is grown in tropical and subtropical climates. Oranges can be eaten fresh or juiced. They are often used in salads, jams, and marmalade. The trees are mostly cultivated in the whole world. Oranges have a high level of vitamins which are highly beneficial for the skin, heart health, eye health, blood pressure and reducing the risk of cancer and diabetes (22, 23). Oranges can be found sweet and bitter. A serving size of 100 grams has 47 calories, 1 gram of protein, 11.7 grams of carbs (9.3 grams of net carbs), 2.4 grams of fiber, and 0.1 grams of fat. Loganberries are a product of a cross between blackberries and raspberries. They are red or purple, fresh and juicy. Being high in dietary fiber makes them not suitable for low carb diet. However, they are known to have various health benefits like reducing wrinkles, strengthening the immune system, improving digestion and preventing health problems like cold, constipation and flu. Containing high amounts of anthocyanins makes them great in neutralizing the harmful free radicals in our bodies. The main nutrients found in loganberries are zinc, selenium, fluoride, iron, sodium, Vitamin C and Vitamin K. Loganberries may be eaten in jams, fruit salads, juices, various fruitcakes and raw. 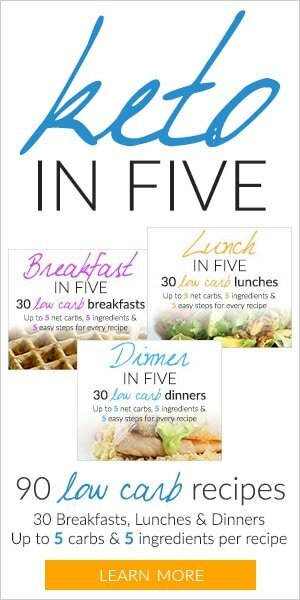 A serving size of 100 grams has 55 calories, 1.5 grams of protein, 13 grams of carbs (7.7 grams of net carbs), 5.3 grams of fiber, and 0.3 grams of fat. Mandarins are small, spherical with orange color. They can be easily damaged by cold. The taste can vary from very sweet to sour. Mandarin skin can be peeled easily. They can be eaten raw or juiced. Mandarins contain vitamin C, vitamin B1, vitamin B2, and vitamin A. 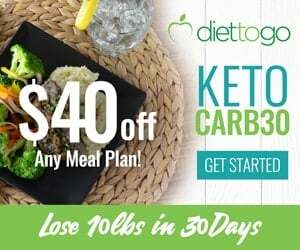 However, they contain a high amount of carbohydrates and are not part of the keto diet. During Chinese New Year, they are considered as a traditional symbol. They are harvested mostly during the winter season. A serving size of 100 grams has 53 calories, 0.8 grams of protein, 13.3 grams of carbs (11.5 grams of net carbs), 1.8 grams of fiber, and 0.3 grams of fat. This sweet fruit is not recommended on the keto diet because of the high amount of dietary carbohydrates. Although, they are known for their great health benefits. They possess a high amount of vitamins, antioxidants, and fiber. They differ depending on the location of growth. Pears are found in a variety of colors like shades of green, red, yellow and brown. They are most commonly used in salads and smoothies or eaten raw. A serving size of 100 grams provides 58 calories, 0.4 grams of protein, 15.5 grams of carbs (12.4 grams net of net carbs), 3.1 grams of fiber, and 0.12 grams of fat. Guavas are tropical and subtropical fruits that are many-seeded. It is commonly used in culinary, such as juices, sauces, candies and fruit bars. In Pakistan, Guava is a national fruit in the winter. Guavas have a high level of pectin; therefore, they are used in making candies, marmalades or jellies. Guavas are rich with vitamin C and fibers. It is a great immune booster. However, guava is not a keto fruit due to its high carbohydrate content. Guava seeds are used for the production of oil that is rich with vitamin A, C, zinc, and copper. It is often considered as anti-aging fruit, because of the great amount antioxidants of like carotene and lycopene that help the reduction of wrinkles. A serving size of 100 grams has 58 calories, 0.4 grams of protein, 15.5 grams of carbs (12.4 grams of net carbs) 3.1 grams of fiber, and 0.9 grams of fat. “An apple a day keeps the doctor away” – famous saying that refers to the healthy aspects of this fruit. Produced from the apple tree, it is used worldwide in different cultures. Apples can be eaten raw or cooked. They are high in fibers, vitamin C and antioxidants. Great immune booster, heart health improvement, and blood sugar regulator. Because of the high amount of carbohydrates and sugars, apples are still not recommended for keto dieting. Commonly used in salads, jams, juices, pies, and cakes. It has various types of colors and tastes such as green, yellow, red, sweet or sour. A serving size of 100 grams has 52 calories, 0.3 grams of protein, 13.8 grams of carbs (11.4 grams of net carbs), 2.4 grams of fiber, and 0.2 grams of fat. Nectarine is a fruit that comes from the Rosaceae family. Nectarines are available in three main varieties – white and yellow flash, clingstones and freestones and semi-freestones. It is rich in antioxidants and vitamins, including vitamin A, vitamin B1, B2 and B3, vitamin B6, vitamin C, pantothenic acid and vitamin E.
Although nectarines are rich in nutrients, you should be careful with the amount of eating. Nectarines don’t contain healthy fats or proteins, and increased consumption of nectarine may kick you out of ketosis. A serving size of 100 grams has 44 calories, 1.1 grams of protein, 10.6 grams of carbs (8.9 grams of net carbs), 1.7 grams of fiber, and 0.5 grams of fat. A delicious fruit that can be eaten fresh, but most of it usually is used for making wine. Grape is a great source of vitamins, such as vitamin C and vitamin K, fibers, potassium, and antioxidants. Grape reduces the risk of atherosclerosis, irregular heart rhythm, and LDL potential (24). It is excellent for hydration because it contains water and fibers. Because of the high amount of carbohydrates, it is not considered as a keto fruit. Grapes come in all different colors and shapes such as small, large, red, green, white. Grapes are best if they are kept in cold and stored unwashed. A serving size of 100 grams contains 69 calories, 0, 7 grams of protein, 18.1 grams of carbs (17.2 grams net carbs), 0.9 grams of carbs, and 0,6 grams of fat. Figs are a product from the ficus tree and they are available throughout the whole year. Their opening is not connected to the tree and they happen to be mentioned in the Bible. Filled with calcium, they provide good prevention of osteoporosis. One of the richest fruits that contain vitamin A, C, K, B, potassium, magnesium, zinc, copper, and antioxidants. In some folk medicine, they were used to treat skin issues. Figs can meet as an ingredient to various shampoos, hair masques or conditioners. Allergies are not that common. They protect the muscles and lower cardiovascular effects. Usually dried in the sunlight, figs can be a delicious treat during the whole year. A serving size of 100 grams has 83 calories, 01.7 grams of protein, 18.7 grams of carbs (14.7 grams of net carbs), 4 grams of fiber, and 0.3 grams of fat. This juicy food is considered among the healthiest fruits of all. It is rich in many vitamins, enzymes, and antioxidants, but there are also the carbs that make it “not keto” fruit. Pomegranates are used in alcoholic beverages, smoothies, wine, and cocktails. Pomegranate seeds can vary from 200 to about 1,400. It has unique red-purple color. The tree grows about five to ten meters high. Recent studies have shown that pomegranates can be used to reduce inflammatory effects and fighting prostate cancer (25). A serving size of 100 grams has 83 calories, 1.2 grams of protein, 18.7 grams of carbs (14.7 grams of net carbs), 4 grams of fiber, and 1.2 grams of fat. This delicious tropical fruit is known for its unique taste. The vitamins that are found in pineapple include vitamin A, vitamin B6, vitamin C, beta-carotene, thiamin, and vitamin B5. Minerals like potassium, copper, calcium, and sodium are also found. Vitamin C boosts the immune system by stimulating the activity of the white blood cells. Beta-carotene improves the vision problem while the enzyme bromelain reduces inflammation. Despite the benefits, pineapples still have some negatives as well. They are really high in carbs and they can potentially interact with certain medications. A serving size of 100 grams has 50 calories, 0.5 grams of protein, 13.1 grams of carbs (11.7 grams of net carbs), 1.4 grams of fiber, and 0.2 grams of fat. Bananas are grown in the warmer areas of the world. They contain a number of vitamins and minerals, including potassium, vitamin B6 and vitamin C. One large banana provides 25% of the recommended daily intake of vitamin B6. Like other fruits, bananas contain various types of antioxidants. Because of their high amount of potassium and antioxidants, bananas are considered to be effective for heart health. Despite this, bananas are not recommended for low-carb diets. Most of the calories come from carbs. Bananas have a low glycemic index of 42-58. This is explained by the presence of high amount of resistant starch and fiber and decreases the blood sugar rise after a meal. A serving size of 100 grams has 89 calories, 1.1 grams of protein, 22.8 grams of carbs (20.2 grams of net carbs), 2.6 grams of fiber, and 0.3 grams of fat. Mango is a stone fruit that is native to South Africa. It’s considered as the national fruit for India and Pakistan. Their tree grows up to 35-40m. It takes five months for the fruit from flowering to ripen. They vary in size, color, and taste. Mango can be orange, red, yellow, oval, round or kidney-shaped. The skin of mangos is waxy and smooth. Mangos own one of the most unique flavors and taste. It contains dietary fiber, vitamins, minerals, and antioxidant compounds. However, it is not recommended on a keto diet. A serving size of 100 grams contains 65 calories, 0.5 grams of protein, 17 grams of carbs (15.2 grams of net carbs), 1.8 grams of fiber, and 0.3 grams of fat. Plums are one of the first fruits domesticated by humans. They grow on trees which are usually 5-6 meters high. Their blossom differs by the weather season and growth location. They are a good source of vitamin C, vitamin B6, soluble fibers and phytonutrients which have antioxidant effects. Because of the high amount of mostly sugar and fiber, plums are not recommended on the keto diet. Health benefits known from plums are the prevention of diabetes, protection of the heart and against cancer (26). Plums are a symbol for a great fortune in Chinese culture. A serving size of 100 grams has 46 calories, 0.7 grams of protein, 11.4 grams of carbs (10 grams of net carbs), 1.4 grams of fiber, and 0.4 grams of fat. In general, fruits are considered healthy on any diet. 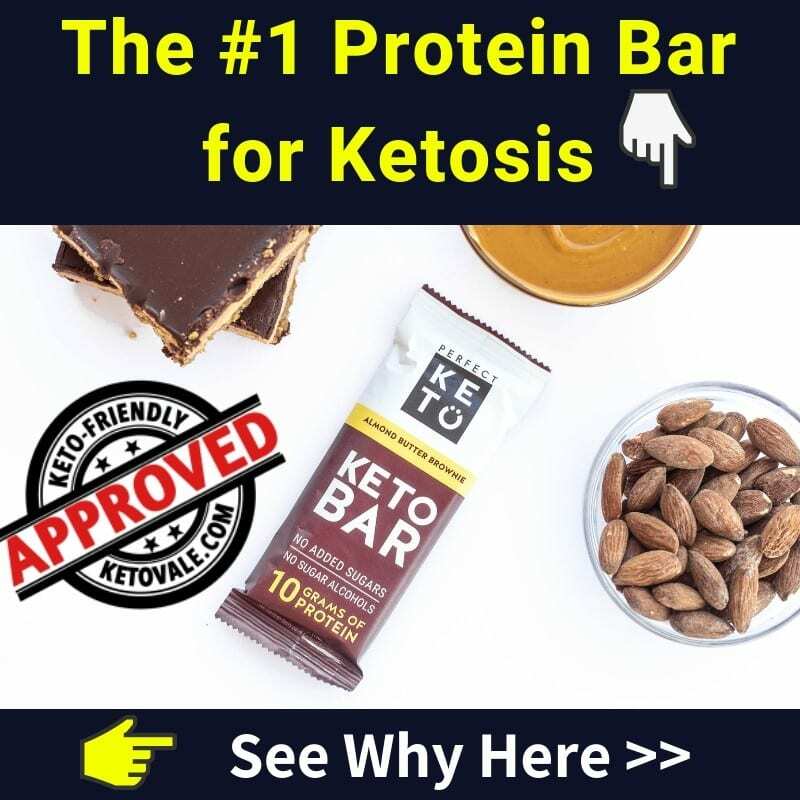 However, on the keto diet, you need to watch your serving size as many fruits have high amount of carbs and sugar, which can kick you out of ketosis if overeating. Sticking to the low carb fruit list on the top of this page will help you overcome your fruit craving while still getting enough vitamins and minerals. Enjoy list this? Save for later use!